The tool is designed to repair minor damages on brake rotors. It features two different sloth depths to choose from. Unior Bicycle Rotor Truing Fork 1666. 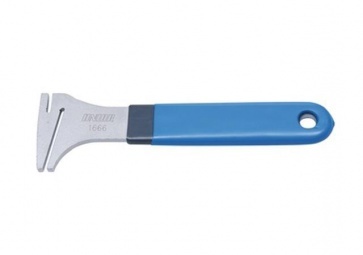 Material: Carbon Steel chrome plated The tool is designed to repair minor damages on brake rotors. It features two different sloth depths to choose from.